The Seito Shito-Ryu Phillips Dojo in New South Wales is officially affiliated to Shito-Ryu Australia Karate-Do Kai and we take this opportunity to welcome all members to the Seito Shito-Ryu family. 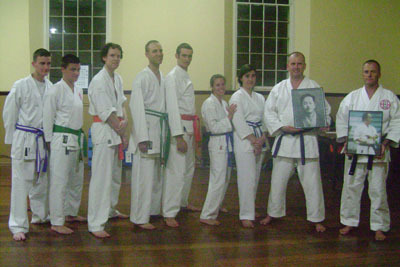 Under the guidance of Colin Phillips Sensei who has over 30 years experience in Karate training, the new Dojo held its first training session at the Uniting Church Hall in Bathurst on Thursday February 4th. 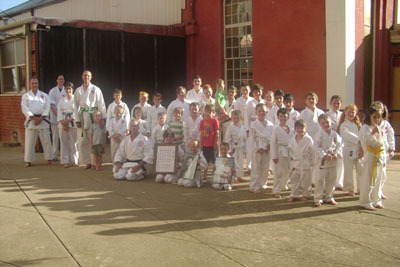 The first class at the PCYC Lithgow Dojo was held on Friday February 5th and Colin Sensei will also be teaching classes at Portland Central school hall commencing on February 16th. Colin Sensei has worked very hard to get his new Dojo and training venues organised and he is committed to teaching the Seito Shito-Ryu of the late Kenzo Mabuni Soke. Congratulations on a great effort , the members of Seito Shito-Ryu Phillips Dojo are very fortunate to have a committed and dedicated Sensei and I am sure that the Dojo will be very successful. If you are a member of Seito Shito-Ryu Phillips Dojo please sign up as a member of our web site. We encourage all members of Seito Shito-Ryu Australia Karate-Do Kai to join the official web site and to participate in the Forums and Blogs. Check for updates on information and resources for our style and keep in touch with friends who are also members and make new friends, make the most of the web site!